The architects of A&E have acquired a unique appreciation of timelessness — and a corresponding ability to create designs of substance. One result of their philosophy is that A&E buildings not only endure, but also function comfortably and naturally for their owners and users. 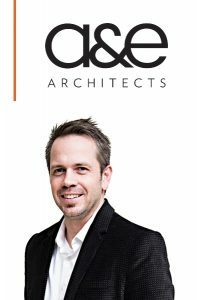 We caught up with James Kordonowy, ASID – Principal of A & E Architects to learn more about their firm and their recent project; Walkers Grill in Billings, Montana. HF: What types of projects does your firm, A&E Architects, focus on? HF: What is your thought process when you develop the space’s design concept? JK: For the last twenty years Walkers has offered a taste of metropolitan lifestyle in the small community of Billings MT. We chose to tell an abstract story that portrays some of the history of Walkers culture with playful undertones that hark to the owner’s passion for jazz music and art. HF: Were there any specific “must-haves” from the client on this project? JK: The client insisted that we remove the “precious” feel of the previous interior. The Billings restaurant market has changed dramatically in the past several years with customers seeking a much less formal experience so it was time to refresh the space to more casual experience. HF: How did you select the lighting for the Walkers Grill project? JK: We sought to feature several fixtures that would be a bit more whimsical, thought provoking and have a “not so serious” character in the new design. The Hubbardton Forge Divergence pendants and Vermont Modern Hook, Vine & Sinker pendants met this criteria and knowing the quality and finish options of the brands made them an easy choice. JK: Although the client and the local market desired a more casual design, the previous interior was undoubtedly a beautiful design and trying to better something that is already well established and loved in the community is definitely a huge challenge. HF: When you take a step back and look at your design, what aspect of the final installed design do you appreciate most? JK: I definitely identify the elements that were the most challenging to pull off. The back-lit wall panels, the custom booth and banquette seating details, the new raised dining area and of course getting the lighting right are definitely the elements that I look at with satisfaction! JK: The sunken living room!